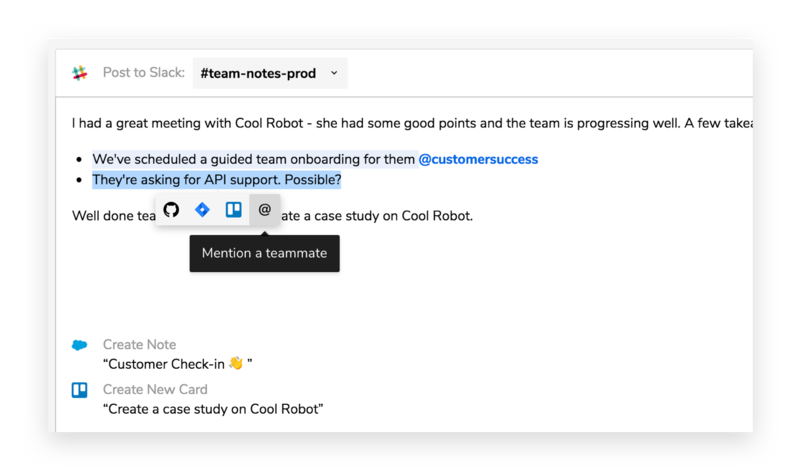 You can now mention teammates and Groups in a highlight, making it easy to call attention to specific parts of your note. Email notifications will include the highlighted text from your mention. 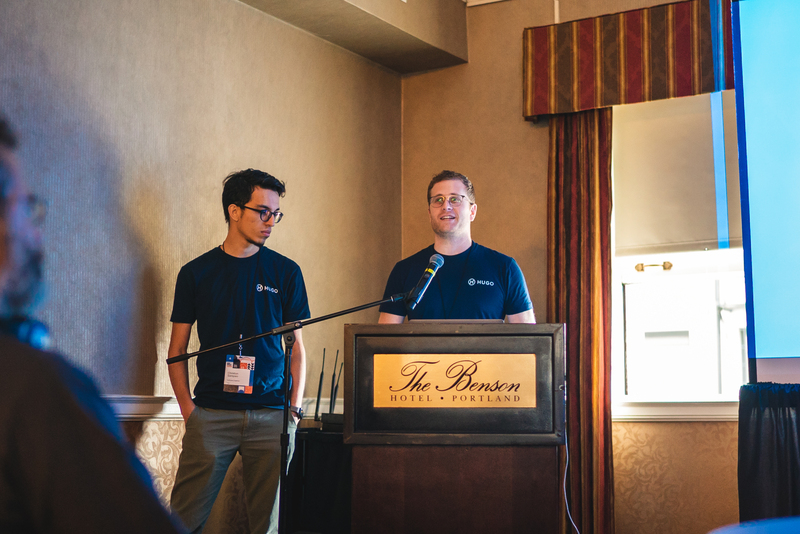 When saving an agenda, or updating an existing agenda, other teammate attendees can receive those updates. Now everyone is on the same page when heading into the meeting! 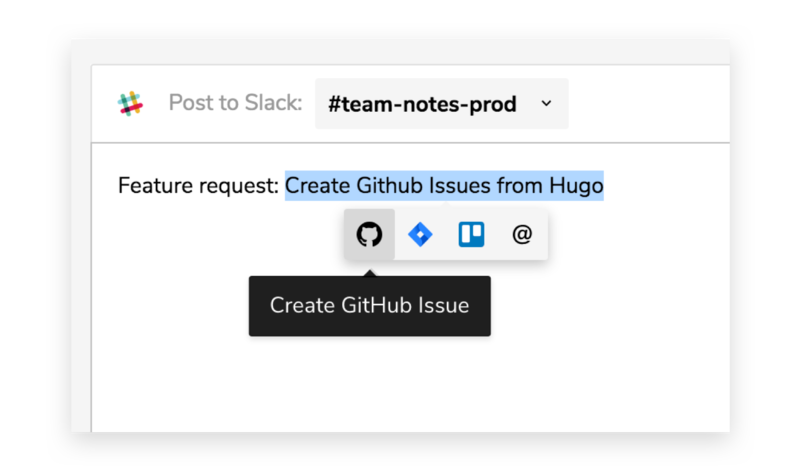 Using One-click Actions, you can now create Github issues from your Hugo notes without switching apps! Head to Settings > Apps > Github to enable. 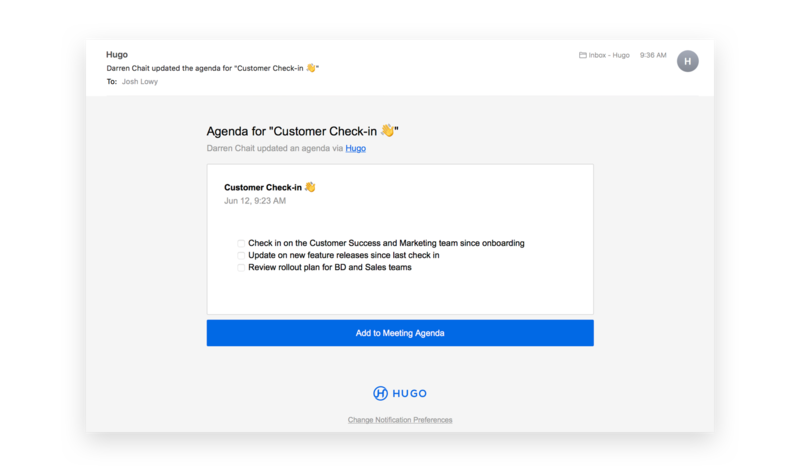 Visit Hugo to connect your team today. If you have any questions about these updates, reach out to us - we're here to help!